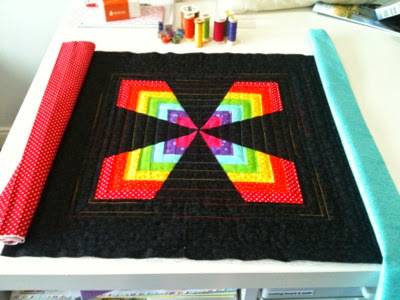 Finally managed to find five minutes to quilt the paper pieced rainbow squares cushion and post it on here! I decided to quilt a square of each colour around. 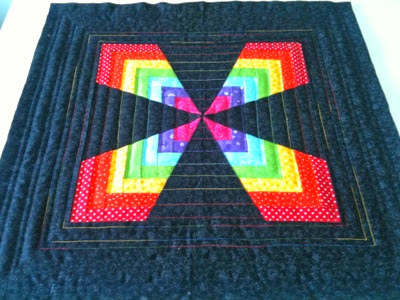 Then used some variegated thread to do a few squares bordering around the square and then the remaining squares black. I liked the framed look it gives. And at Not Just a Housewife.